How Does Business Debt Consolidation Work? Should You Consolidate Business Debt? Small business owners frequently need to borrow money to cover temporary cash flow issues, fund expansions, and/or purchase new equipment. If you’ve taken more than one loan for your small business, loan consolidation can make repaying your debt easier and more affordable. Business debt consolidation loans refinance your existing debt and place all of your loan payments into a single repayment schedule. Beyond that, they can offer better terms including less frequent payments and lower rates. Some people use “debt consolidation” and “refinancing” interchangeably, but they aren’t the same thing. When you refinance, you take out a new loan at a lower interest rate to pay off an existing, high-interest loan. When you consolidate, you’re bundling two or more loans together, taking a new loan to pay off all existing loans. Debt consolidation is a form of refinancing, but not all refinancing is debt consolidation. If you just replace one loan with a new loan at a lower interest rate, that’s refinancing. Debt consolidation converts multiple loans into one loan. It is important to note that debt consolidation doesn’t necessarily result in a lower interest rate, although that could be the case. Ideally, your business debt consolidation loan will save you money, but the focus is making payments more manageable by replacing several lenders with one. Before taking a debt consolidation loan, it’s important to do your own research, work with a reputable lender, and double and triple-check your new payment amounts. You want to be absolutely sure that debt consolidation is the right choice for your business. Current high-interest loans: If your current loans are at low interest rates, there’s no benefit to paying them off, particularly if the new loan is at a higher rate. Your personal credit score: Because you’re looking for a larger loan to pay off several smaller ones, your personal credit score will impact the rate at which you can get a consolidation loan. Your business’ profitability: If your business’ profits and cash flow have recently improved, you’ll qualify for a lower rate. Improved personal finances: If you’ve recently paid off a car or home loan, or have reduced spending and increased savings, your interest rate may be lower. The length of time you’ve been in business: The longer you’ve been in business, the longer your track record. Businesses that have been active for more than a year generally receive more favorable loan terms and rates. 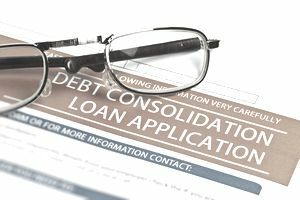 If you’ve determined that business debt consolidation may be right for you, the next thing to consider before proceeding are the pros and cons. Although there are reasons debt consolidation may be a great choice, there are also some risks it can pose to your business. More manageable repayment: Because you’re making one monthly payment rather than several, debt consolidation makes your books easier to keep and payment easier to remember. Improved cash flow: If you’re consolidating several high-interest loans into one, lower-interest loan, you’ll have more cash at hand each month. Paying compounded interest: When you consolidate business debt, you’re paying down what you owe on your initial loans—principal, plus interest. So even though the interest rate on a business debt consolidation loan might be lower than your initial debt, you end up paying interest on top of interest. Paying more interest over time: Most business debt consolidation loans are long-term, which means you’ll be paying interest over a longer period of time. Even if the interest rate is lower, you might pay more in interest over the life of the loan. Stated simply, when you consolidate debt you take out one larger loan to pay off several smaller loans. Before applying for a consolidation loan, make sure none of your existing loans have a prepayment penalty. It’s generally not cost-effective to consolidate any loans that have prepayment penalties. Next, add together all of your existing loans to determine the total amount of your current debt. Average together the annual percentage rate (APR) of each loan you are consolidating. When shopping for a consolidation loan, make sure that the new APR is the same as or less than the average APR for all of your current loans. If so, and if you’re comfortable with a new, longer-term repayment schedule, go ahead and take the loan, and use it to pay off your existing debt. Just don’t forget to make monthly payments on your new consolidation loan! Where Can I Get a Business Debt Consolidation Loan? Your local bank, like Chase or Wells Fargo. The SBA 7(a) loan program guarantees loans made by local banks. Online lenders like Fundation, Funding Circle, or Lending Club might be the best choice for you if you don’t meet the strict qualification guidelines of your local bank or the SBA. Debt consolidation can be an efficient way to pay off your small business debt. But before you pick this solution to tackle existing debts, make sure to weigh all the pros and cons. Debt consolidation can offer small business owners lower rates, a single repayment schedule, and reduce the frequency of payments. But you should also be aware of compound interest rates and the possibility of paying more interest over time. Doing your homework will empower you to make the smartest financial decisions for your business.